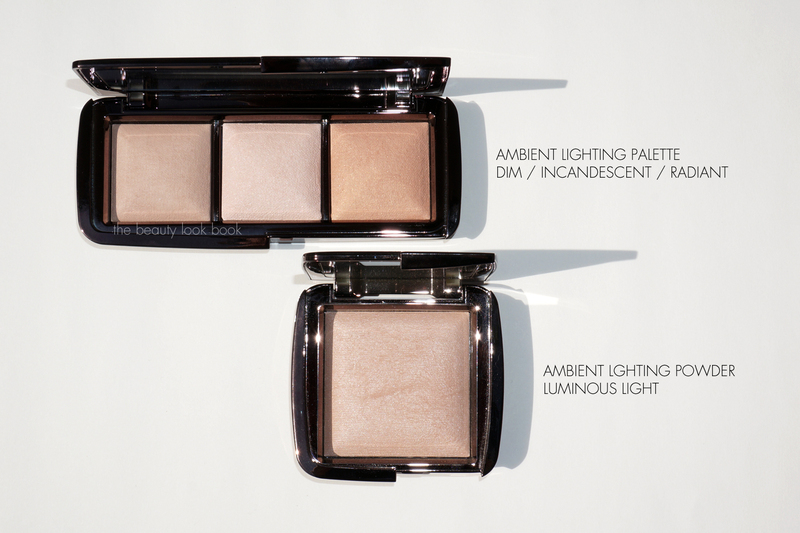 Hourglass’s latest release is the new Ambient Lighting Palette ($58 for 0.35 oz/9.9g, limited-edition). 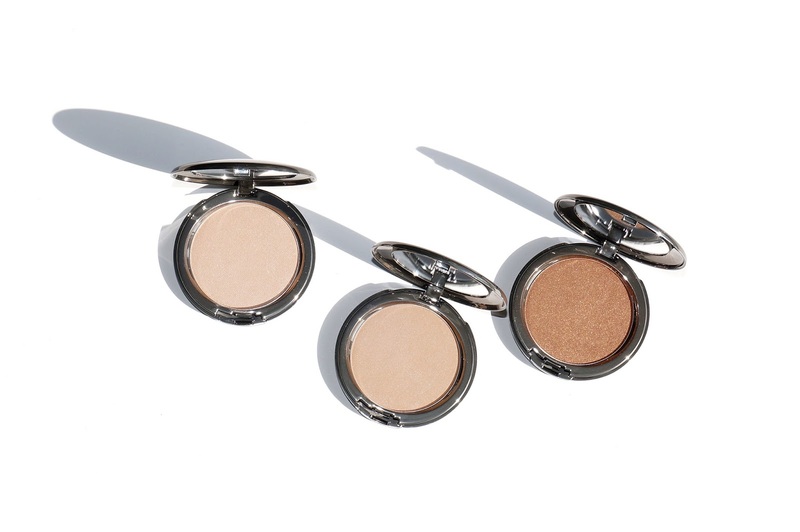 It’s a travel-sized trio of Ambient Lighting Powders in Dim Light, Incandescent Light (new) and Radiant Light. The trio also comes with a small sample of their Mineral Veil Primer (see review here). 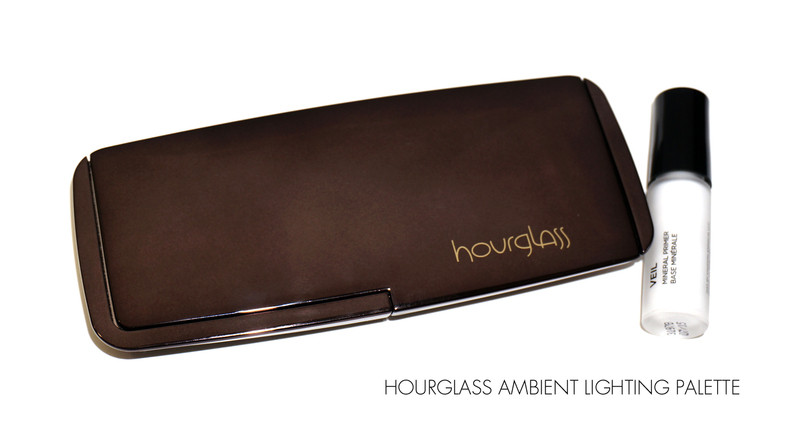 Hourglass says this palette is just like having your own personal lighting technician. I couldn’t describe this better. 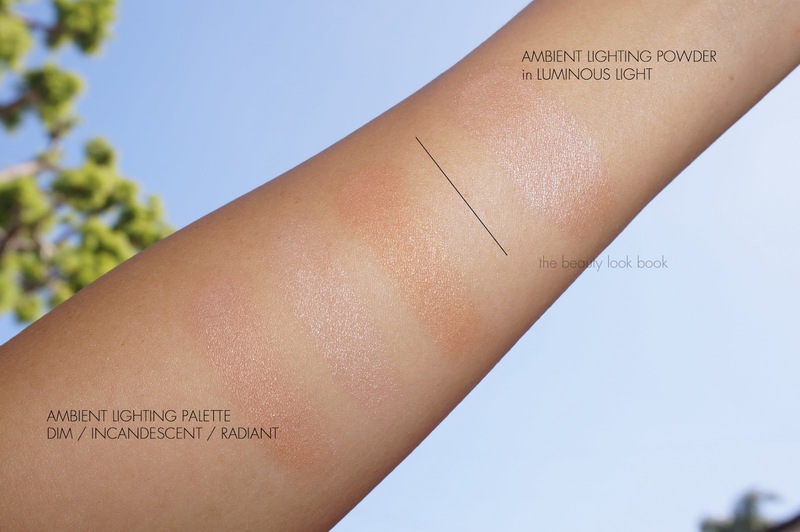 Being a huge fan of Luminous Light, I was very excited about the release of this palette. I love everything about this palette. The pans are smaller than the regular Ambient Lighting Powders but large enough to easily dip a fluffy brush into to apply to the face. It’s perfect for travel and arrived just at the right time for me. I brought it with me on my recent trip. It was the only highlighter I brought which was perfect because it provided three options in one palette. 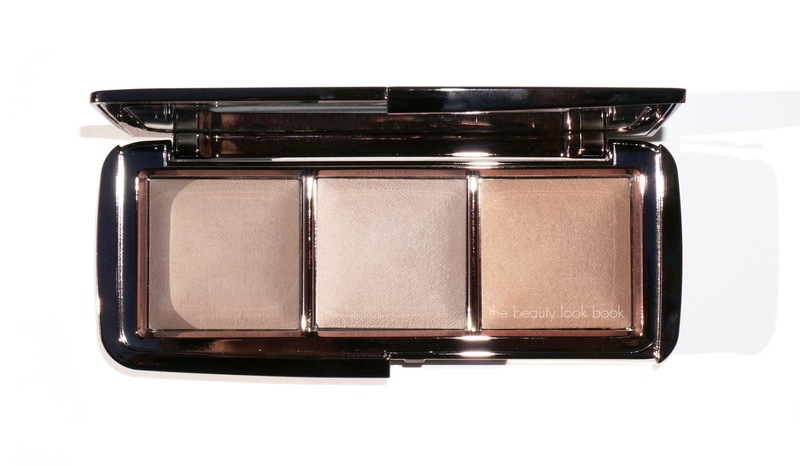 I wore this every evening out and felt it gave that perfect glow by mixing the three shades. 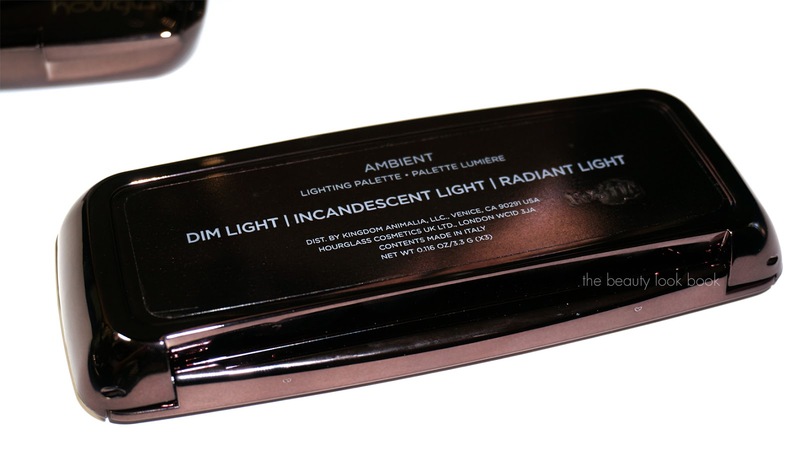 Dim Light is an existing shade in the regular full-sized line but is new to me. 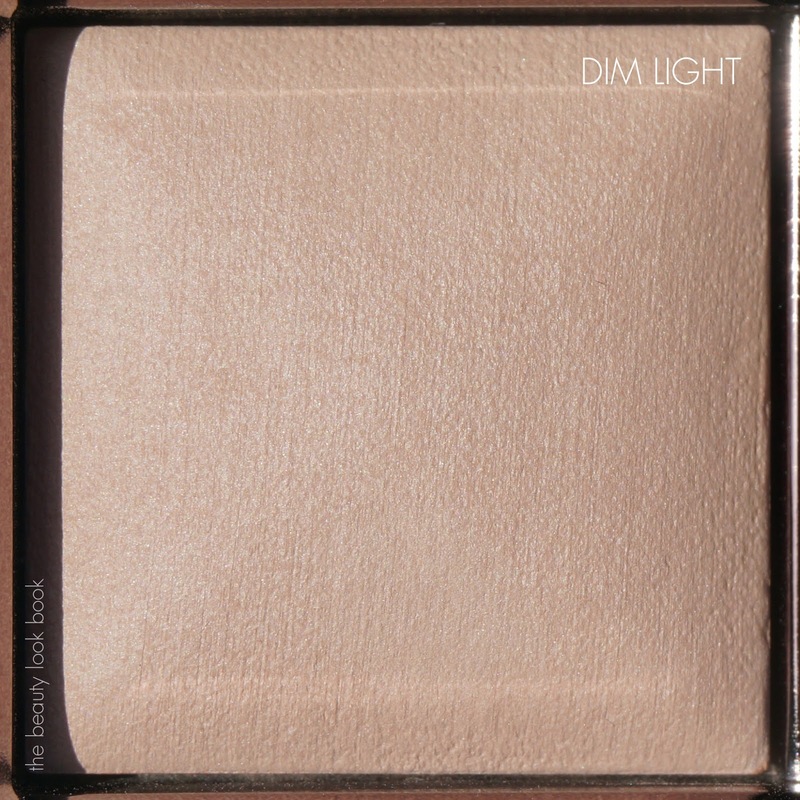 It’s described as a neutral peach beige and is supposed to blur imperfections and highlight the skin. I think the effect will vary depending on your skintone. I am a bit too tan to wear this all over as a setting powder, but it makes an amazing under-eye highlight and over the cheeks blending color. There is a subtle luminous quality – but very subtle. 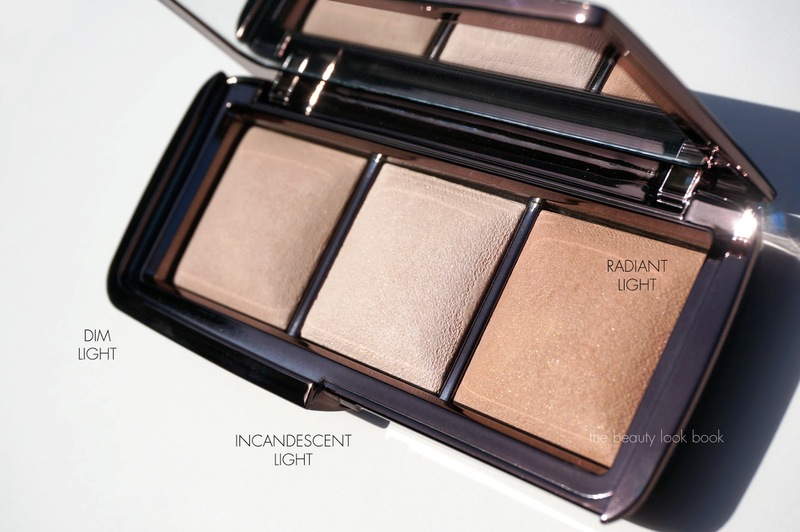 If you’re afraid of any kind of shimmer – this is the highlighter for you. 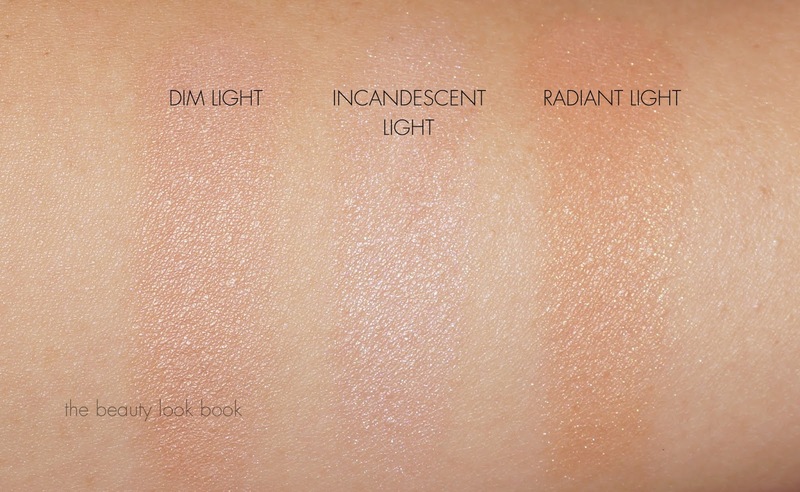 Incandescent Light is a new shade and currently only available in this palette. It’s a pearlescent pearly color. 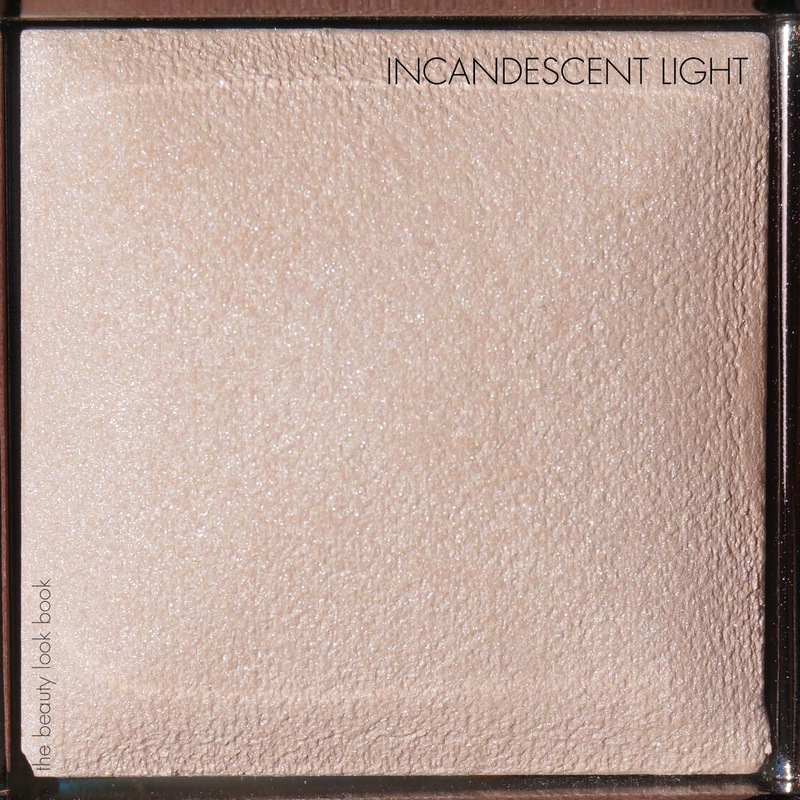 In the pan it resembles Luminous Light (my holy grail highlighter, see review here) however Incandescent Light is slightly paler in color and not as shimmery. 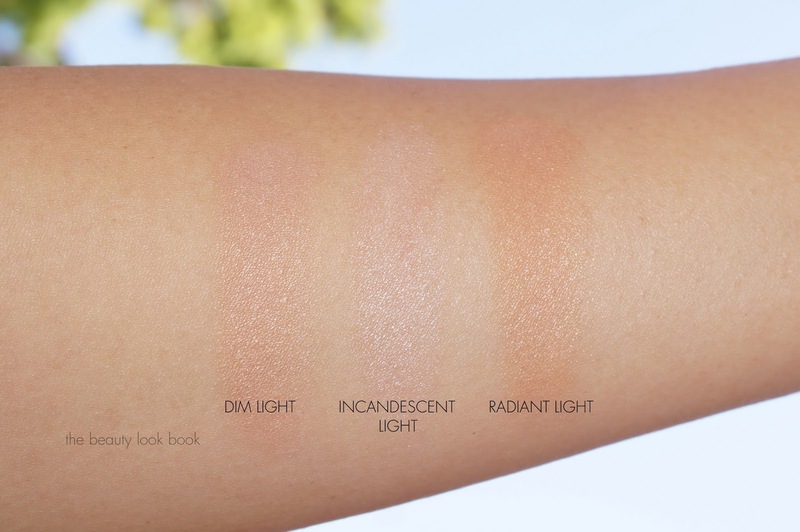 Luminous Light by comparison is almost peachy when swatched next to Incandescent Light. 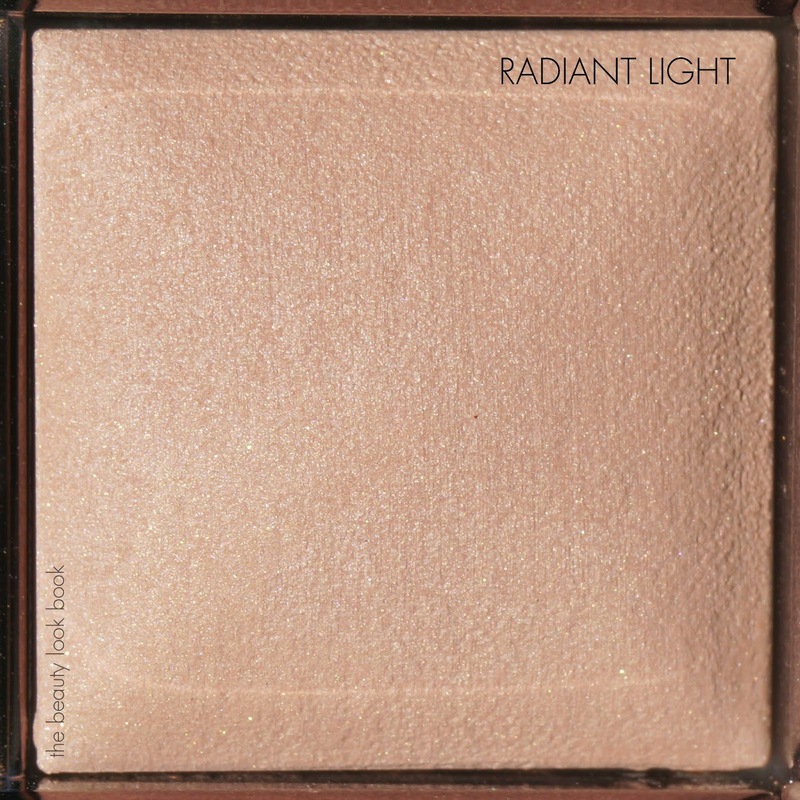 Radiant Light is another existing shade which I also own. 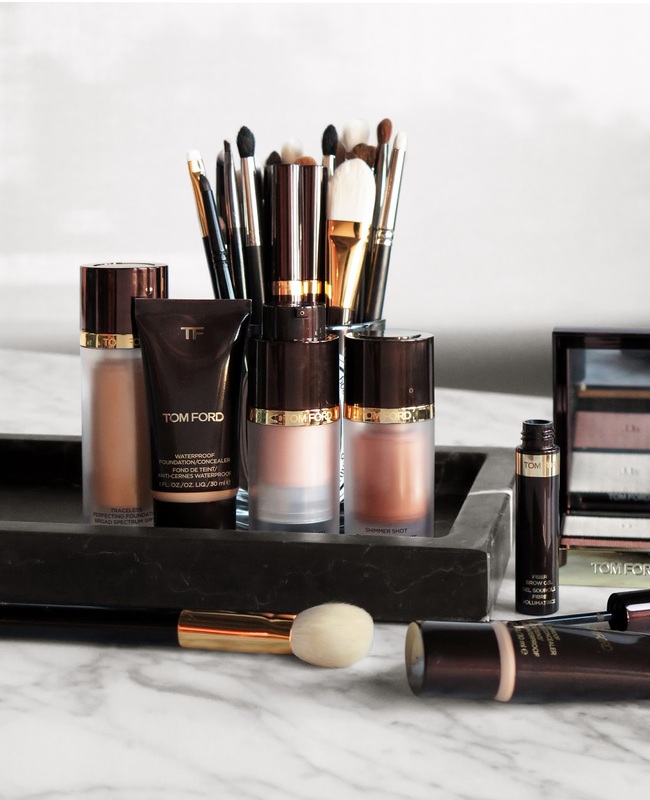 It’s the sheerest bronze powder I have that adds a warm golden glow without being brownish like a traditional bronzer. It has tiny gold sparkle particles but doesn’t look glittery. Use Dim Light as a soft dusting powder in the center of the face and on the cheeks to blend out edges of your blush or bronzer. 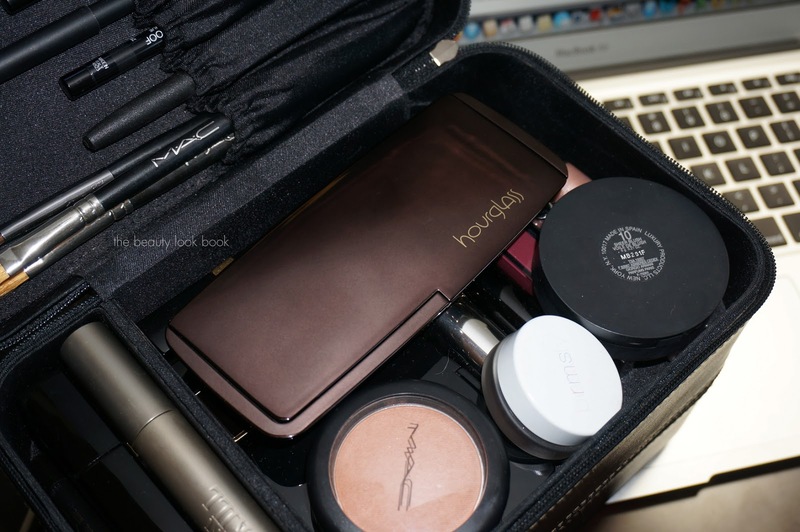 Use Incandescent Light as an all over highlight on the eyes, top of cheek bones. I highly recommend this palette. 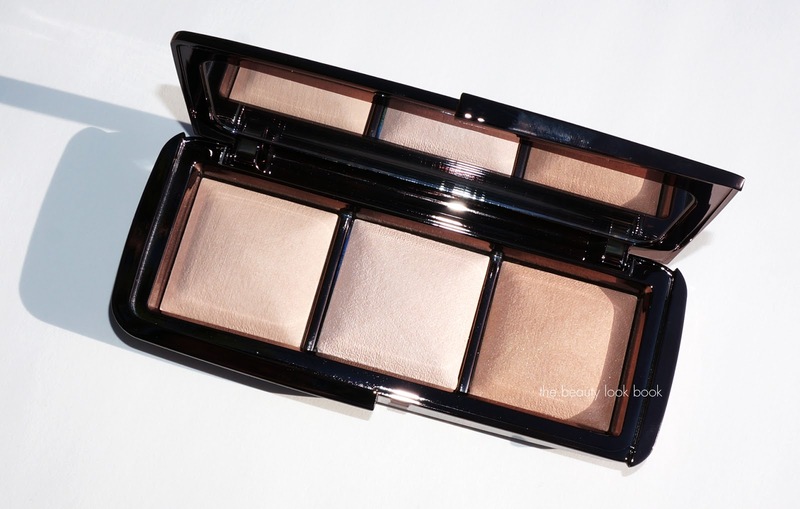 The price is higher than the individual sizes (and slightly more expensive per oz) but this is a great way to try three shades in one palette rather than purchasing individual colors. If you’re more a fan of shimmery highlighters you may find this too subtle but I do find the shimmer is visible enough on the skin to be able to tell that there is a glow.